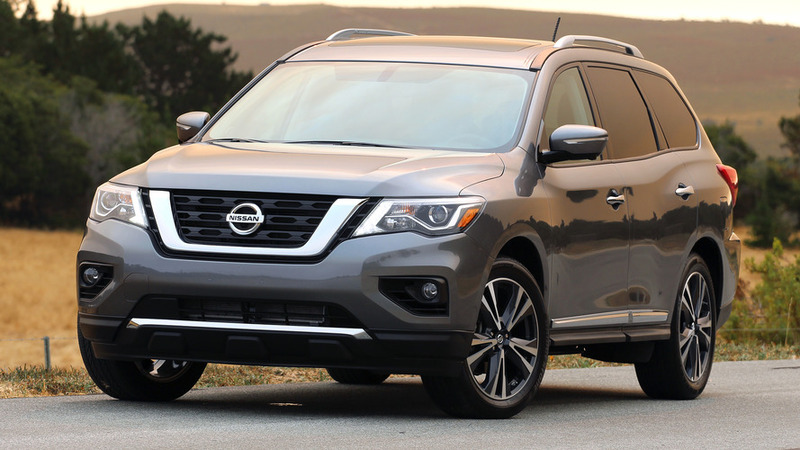 Nissan gave the 2017 Pathfinder a thorough refresh, and as our review pointed out “the improvements are indeed noticeable.” Now, the company is finally telling us what those upgrades cost, and its not too bad. 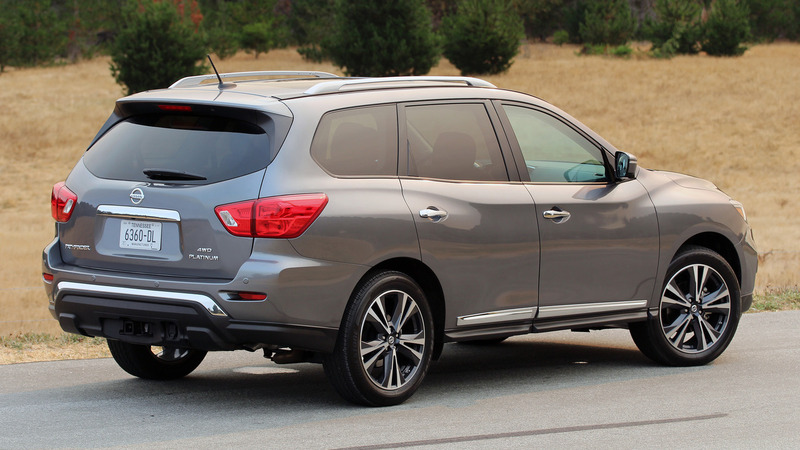 The refreshed Pathfinder starts at $30,890 (after $900 for destination, versus a base price of $30,680 last year. They start arriving at dealers this week. All 2017 Pathfinders benefit from an updated styling with sharper lines. The 3.5-liter V6 now has direct injection that increases the output to 284 horsepower (212 kilowatts) and 259 pound-feet (351 Newton-meters) of torque – gains of 24 hp (18 kW) and 19 lb-ft (26 Nm). The only available gearbox is a CVT, and fuel economy remains at 20 miles per gallon city, 27 mpg highway, and 22 mpg combined for front-wheel-drive models. Nissan also retunes the suspension and steering. The base S trim gets standard features like an 8-inch infotainment system and tri-zone automatic climate control. Upgrading to all-wheel drive takes the price to $32,580. Upgrading to the SV model adds an eight-way power driver's seat, auto-dimming rearview mirror, and fog lights. Prices start at $33,580 with front-wheel drive or $35,270 with all-wheel drive. The SL is $36,600 with front-wheel drive and $38,290 with all-wheel drive. The extra money gets buyers amenities like leather seats for the first two rows, a motion-activated rear hatch, and Nissan’s Around View Monitor camera system. At the top of the range, there’s the Platinum trim starting at $42,770 or $44,460 for front- or all-wheel drive respectively. These vehicles get 20-inch wheels, LED headlights, navigation, a Bose 13-speaker stereo, wood-grain trim, panoramic moonroof, and driver assistance features like adaptive cruise control. NASHVILLE, Tenn. – Nissan today announced U.S. pricing for the new 2017 Nissan Pathfinder SUV, which goes on sale this week at Nissan dealers nationwide with a starting MSRP* of $29,990. Pathfinder, one of Nissan's best known and most popular nameplates in its nearly 60-year history in the United States, is reborn for the 2017 model year with more adventure capability, a freshened exterior look and enhanced safety and technology – pure Pathfinder taken to an even higher level of performance, technology and style. The revisions to Pathfinder come as part of Nissan's "Year of the Truck" – a comprehensive freshening of the brand's truck lineup, including an all-new TITAN full-size pickup and Armada SUV. All 2017 Pathfinder models are equipped with Nissan's third-generation Xtronic transmission (similar to that utilized in the sporty Nissan Maxima). The Xtronic transmission includes D-Step Logic Control, which simulates shifts, giving a more natural acceleration feeling. The new Pathfinder powertrain helps provide real world driving benefits of more responsive acceleration and re-acceleration, such as when entering highways or passing. Pathfinder's attractive interior design includes comfortable seating for seven, along with an innovative EZ Flex Seating System™ with LATCH AND GLIDE™, a 2nd row tilt and glide seat that allows easy 3rd row access with a child safety seat still installed. Advanced Driver Assistance technology includes new Forward Emergency Braking (FEB) and Intelligent Cruise Control (ICC). For 2017, Moving Object Detection has been added to the available Around View® Monitor (AVM)***. Also offered are Blind Spot Warning (BSW) and Rear Cross Traffic Alert (RCTA). The 2017 Pathfinder is available in 4WD and 2WD drive configurations and in four models: S, SV, SL and Platinum. 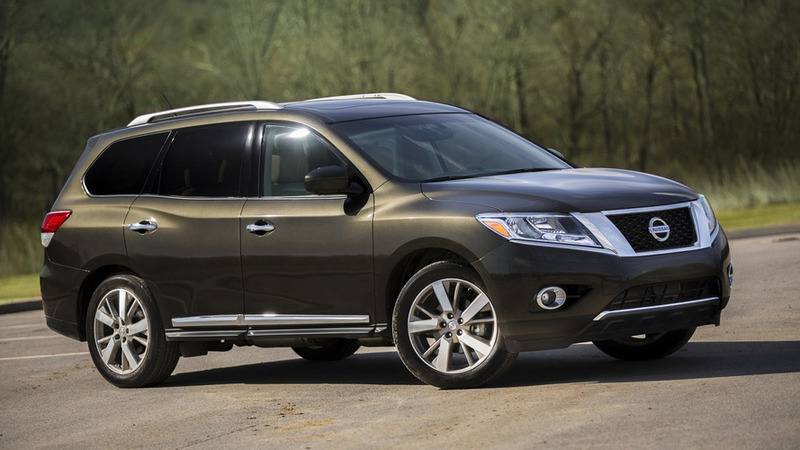 It is assembled in Smyrna, Tenn., with engines assembled in Decherd, Tenn.
To learn more about the new 2017 Nissan Pathfinder, visit here.